Huawei Honor 6 is an interesting device, that manages to combine high end specs with a midrange setup. This is an affordable midrange phone, that was launched in the summer of 2014 and it’s priced at $350 now. The product is available in black and white and it looks a bit like an iPhone 4 and an Xperia Z handset, thanks to the back and front covered with glass panels. In spite of the glass case, the device is not slippery and its sides are made of plastic that imitates metal, while the basic frame is made of metal. The bottom is all plastic and it’s rounded. We’ve got a solid frame on board and this unit feels a bit like an Xperia Z, due to the rectangular format and glassy surfaces. Huawei Honor 6 sits well in the user’s hand and it comes with straight edges that aren’t exactly comfy during long calls. It offers an OK experience in one hand use and strangely there’s no Huawei branding on board, just the Honor one. We’ve got a dotted back pattern and a rectangular design format with rounded corners. The sides are easy to scratch, sadly. Upfront there’s an earpiece, front camera, sensors, notification LED and an useless portion below the display, where the usual capacitive buttons would be. At the back there’s the main camera, flash and speaker, while at the top there’s an audio jack, infrared emitter and microphone. Finally, at the bottom there’s a microphone, microUSB port and nothing on the left side. On the right there’s an On/Off button, volume buttons and they come with OK feedback. In this area there’s also a flap lid, that covers up the microSD and micro SM Card slots. Huawei Honor 6 measures 7.5 mm in thickness and weighs 130 grams. Huawei claims it’s made of 6 layers of materials. I’d say the design is OK and the Honor 6 is one of the pleasant glass phones. As far as hardware goes, this model comes with a 5 inch JDI display, a non IPS LCD panel, that offers a Full HD resolution and support for multitouch with up to 10 fingers. It has a medium sized bezel and inside we find a HiSilicon Kirin 920 processor, an octa core unit with 4 Cortex A7 cores clocked at 1.3 GHz and 4 Cortex A15 cores clocked at 1.7 GHz. The GPU is a Mali T628 MP4 unit clocked at 600 MHz and we also get 3 GB of LPDDR3 RAM inside, 16 GB or 32 GB of storage, a microSD card slot with support for up to 64 GB and a 13 MP main camera at the back with dual LED flash. There’s a 5 MP front shooter for selfies and on the connectivity side we’ve got LTE, WiFi dual band and Bluetooth 4.0, as well as microUSB 2.0, GPS, Glonass and FM radio. The list goes on with infrared, DLNA and NFC. Other specs include Dolby Digital Plus technology, an accelerometer, gyroscope and proximity sensor, plus compass. The battery is a 3100 mAh unit, a Li-Po one (3.8 V/ 11.8 Wh), that offered us 9 hours of HD video playback in a loop, which is pretty good for a 5 inch phone. The test was performed with WiFi on and brightness at 50%. We’re above the OnePlus One with 5 minutes and also above the Philips Xenium i908, that only achieves 7 hours and 26 minutes. We also tested the battery with PCMark, achieving 3 hours and 35 minutes of continuous use, which is a bit underwhelming, especially considering that the HTC One reaches a similar duration, of 3 hours and 13 minutes and the OnePlus One reaches 5 hours and 15 minutes. The very thin Galaxy A5 even reaches 6 hours and 1 minute. This is an area where the Honor 6 doesn’t exactly excel. The charging takes place in 2 hours, which is good and the charger bundled with the phone is a 5V/2A unit. The settings area includes Power Saving features and a Power Monitor, that shows potential issues with power usage. The Power Saving modes include Ultra, that only lets you use the basic phone features, Smart, that auto adjusts the CPU and network usage for balance performance and Normal, that only makes small adjustments. There are also special options for apps that run when the screen is off. Then there’s Screen Saving, that gets activated by first turning off the device and from what I’ve heard it extends the battery life by 20% and apparently drops the resolution to HD. As far as acoustics are concerned, this model brings a custom music player, with a nice minimalistic UI, that’s very clean. There are filter options for songs, with length as criteria, a timer with auto close feature and lyrics. We’ve got DTS, that can be set on or off and you can actually feel it improving the songs. In the landscape view, you’ll see a nice way of displaying album art. The actual experience is loud, clear and crisp and we get a good bass. The sound is warm, deep and we’ve got a nice percution. There are no bundled headphones here and if you look up the Settings area you’ll find something called Karaoke, a nice feature for lovers of this type of fun. We used a decibelmeter on this phone, to find that there’s not much muffling and at the front side we achieved 81 dBA, while at the back we got 82.4 dBA. The volume is good, but not stellar and we’ve certainly seen better, like the OnePlus One and its 90 dBA or the Galaxy Note 4 and its 85 dBA. Overall the audio is good and moving on to the screen, we get a 5 inch Full HD unit with a LCD panel that’s not an IPS. The video player is very minimal and simple and also offers a DTS option. The screen is oversaturated, there are wide viewing angles and this panel is pretty bright. It’s also a bit reflective and not exactly excellent in sunlight. The black isn’t very deep and we’ve got RGB Stripe pixels. We used a luxmeter on this screen, only to find out that the display has 3 different levels of brightness. We got 399 LUX at the top, 372 LUX at the bottom of the screen and 383 LUX units at the middle. We’re above the Oppo Find 7a, that gets to 354 LUX and above the Sony Xperia Z2, that offers 366 LUX, so the brightness is OK. The Settings area offers a color temperature slider (warm or cold), options like font size, font style and that’s about it, so the display is quite good. Now as far as the camera is concerned, we are dealing with a Sony IMX 214 sensor here, a familiar face that was also included on the Nexus 6 and Oppo Find 7, as well as the OnePlus One. It brings an F/2.0 aperture and 28 mm lens, plus a very nice looking UI, that draws clear inspiration from iOS. On the left side there are shortcuts, to the settings, front camera and flash options. The camera UI is rather portrait oriented, including in the settings area. We get options like HDR, panorama, audio note (picture plus 10 seconds of audio), best photo and all focus, that takes a series of shots and then allows you to refocus. Then there’s a watermark feature. You can set up the resolution, to 13 MP in 4:3 or 10 MP in 16:9, as well as 9 MP in 1:1. There’s GPS tagging, mute sound, audio control, timer, touch to capture and smile shot among the options. There’s object tracking , burst capture and the use of volume buttons for the capture feature. You can switch the ISO, white balance and also adjust exposure, saturation, contrast and brightness. On the right side there are the color effects, a beauty option with an associated slider and we’ve got a bunch of video settings triggered by activating this option. You can film in Full HD with stereo audio, there’s GPS, Beauty video capture, object tracking, HDR video and stabilization options are available too. If you keep the finger pressed on the screen, you can adjust the focus and metering manually, by the way. This camera offers fast focus, but a relatively slow picture taking. The flash is very powerful and we’ve got a fluid touch zoom. Having a look at the gallery, you’ll see that we took the shots on a very sunny March day. The HDR was good and not exaggerated, subtly highlighting details. It makes images a bit more realistic, to be honest. The HDR picture of the fountain is a good example of that. The photos taken with the Huawei Honor 6 include realistic colors and the selfies are pretty good as well, but usually the backgrounds are rather poorly captured. Skin smoothing works fine, though… There’s a bit of a problem with the sun, so if you get to use this camera, it’s a good idea to stay away from sunny environments with the source of light directly ahead. Some of the shots show a slight sunlight burn, but generally colors, exposure and brightness are well set up. Macros look nice and it’s very hard to make the refocus work, in spite of very many attempts. Panorama is very wide and well stitched. You can apply a cute stamp on pictures and play with the effects, like we did. Colors are good, but in low light conditions we were a bit underwhelmed by the camera. Even when zooming in, the quality remains good and the level of detail is great. We also tested the flash in those shots below the bridge and they looked fine. Eventually we got refocus to work and it was nice, but still more of a gimmick. An interesting thing to note is that when taking pictures in low light conditions, ISO goes over 2000, so it adapts properly. Overall, the photo taking is good, but not Nexus 6 good, considering we’re sharing the same sensor. We also tested video capture and what came out was a series of Full HD shots, in MP4 format and at 30 FPS frame rate. The videos have a 24 Mbps bitrate and the acoustics are stereo with 96 Kbps audio bitrate (AAC). Now as far as the videos go, I noticed a tendency to change exposure violently and some bad audio capture in windy conditions. Stabilization is also not that good, but the colors are quite OK.
There’s also a slight lack of detail and some of the video captures were burnt by sun. We even tried out HDR, but only in 720p, since that’s the limitation and it was a bit too bright. The photo capture may be good, but the video one is underwhelming, especially in comparison to the Nexus 6. Now that we’re done with the camera, you should know that there’s also photo editing available, with a very nice UI, that’s very intuitive. There are filters, crop and adjustments, as usual. As far as temperature goes, this model reaches 37.4 degrees Celsius tops, after 15 minutes of playing Riptide GP2, so there’s no overheating. The web browser on board of the smartphone is not very fast and it has a very minimal UI, based on black and white. The keyboard features Swype, it’s very well spaced and comfy. It even includes themes and ample settings. On the phone side of things, Speed Dial is in the mix and options include a harassment filter, privacy protect and a loud and clear experience, with a good signal and loud volume. We’ve chosen an entire series of devices to compare the Huawei Honor 6 in the benchmarks area: LG G3, OnePlus One, Galaxy S5 and the Allview X2 Soul. 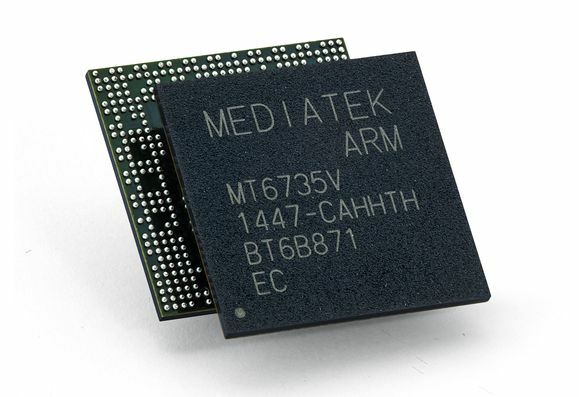 This is a fight between the Kirin 920, Snapdragon 801 and MediaTek octa core CPU. Overall, the Huawei Honor 6 wins 2 out of 10 benchmark battles, but it doesn’t suffer from any type of lag and runs Riptide GP2 without problems. As far as the OS and UI go, this model has Android 4.4.2 with the Emotion UI 3.0 on top. This UI uses a lot of white backgrounds, thin fonts and it’s very simple, minimalistic and elegant. It’s a clean platform, very Apple- like and all the apps are placed on the homescreens. We’ve got those Lollipop style Android buttons, a very fluid functioning mode and the multitasking is handled very much like HTC does, with big thumbnails taking up big parts of the screen (in this case 4 thumbnails per screen). You can close all of them by flicking up. If you pinch the homescreen you will access an area with options like wallpapers, widgets, transitions, layouts (4×4 or 4×5). The dropdown zone features notifications set up like a timeline, plus Quick Settings, including a shortcut for screenshots and one for a One Hand UI mode. The Settings area is also well organized and clean and offers the option to use a Simple homescreen, Do Not Disturb feature, a notification manager and a ton of security features. There’s something called Touch Plus in there too, that apparently involves a special film applied on the screen, with extra buttons. Then there are the custom navigation bar icons, the One Hand use mode and the Suspend button, that floats around with a bunch of options attached. Finally, there’s a Gloves mode in the mix and overall the UI is quite nice. The preinstalled apps list is kind of long and it includes bloatware. We’ve got a Phone Manager, that handles running apps, harasment filter, power saving data traffic and more, plus a Calendar, Files, HiCare, Tools (Weather, Recording, Backup, Mirror, Magnifier, Torch, Calculator, Notepad, FM radio and Update), Kingsoft Office, Twitter, Highlights and Bitcasa. Even games are included, like Asphalt 8, Real Football 2015 and a Spiderman title. Finally, there are custom themes here and all the regular Google apps: Chrome, Gmail, Google+, Maps, Play Music, Play Books, Play Newsstand, Drive, YouTube, Photos and Hangouts. The lockscreen area features shortcuts for the music player, torch, mirror and a few more options. And now here’s the verdict! Huawei Honor 6 is still a solid phone, that gets from us a 9.2 out of 10 for design, a 9.2 for hardware and a 9.6 for OS and UI. The final grade is 9.33 out of 10, making this a very good midrange phone with some high end features, plus a good combo of nice design and nice looking UI. The camera is reasonably good for photo taking and the display is also OK.